DailyRoto’s MLB Solo Shot Host, Logan Hitchcock, gets you headed in the right direction with his 5/26 MLB DFS Picks. Check out where his mind is at today when it comes to roster construction at FantasyDraft. where they put players first – Daily fantasy baseball on a level playing field. Check them out tonight. Now, on to the the picks for tonight’s action. With only five games to choose from tonight, our focus is naturally narrowed down to a few choices. Undoubtedly the top offensive option on the slate is the Boston Red Sox. The Red Sox continue to just pummel opposing pitching of all handedness and I fully expect them to have no trouble with Jon Gray tonight. Gray has been much better than his 6.75 ERA would indicate, pitching to a 2.66 xFIP while displaying the type of strikeout stuff that has made him a highly regarded prospect. Unfortunately for Gray though, the Red Sox are on another level offensively. As a team, they’ve record the highest wRC+, wOBA and the fourth best ISO against right-handed pitchers this season. Their implied run total is by far the highest on the slate and oddly enough, their prices don’t reflect just how far ahead they are relative to the rest of the field today. David Ortiz ($10,000) has defied his age and his insane skills against right-handed pitchers make him an elite option on this slate. To go with Big Papi, all of those surrounding him are also in play. Mookie Betts ($10,200) hasn’t joined in on the last few big Red Sox run scoring sprees, but that doesn’t rule him out tonight in the leadoff role given his power and speed upside. Dustin Pedroia ($8,000) left last night’s game, but he’s a way to get cheaper exposure to the Red Sox with Xander Bogaerts ($8,800), Hanley Ramirez ($7,800), Travis Shaw ($7,200) and Jackie Bradley Jr. ($7,800) not far behind. Yes, I just listed nearly the entire lineup. You’ll have to use a few players that are in the home dugout at Fenway, so when directing your glances elsewhere, try the opposing dugout in Boston (the Rockies), the Kansas City Royals, or pick and choose from the lineups in Minute Maid Park. The Rockies are frequently picked on away from Coors Field, but on such a short slate it would be an oversight to completely dismiss them against Clay Buchholz. Buchholz has yet to return to “ace” status and is allowing a ton of flyballs this season to go with a 5.40 xFIP and just over six strikeouts per nine innings. Charlie Blackmon ($8,400) is a great value once again given his speed upside and Carlos Gonzalez ($7,600) seems to have been lost in the shuffle with a middling price tag. The Royals have the second highest team total on the slate, but the park and some weather concerns are limiting exposure against Miguel Gonzalez. Gonzalez is yet another flyball pitcher on the slate with an xFIP over five. He does get a positive park shift in his favor and a team essentially void of power, but a few Royals do stand out. Eric Hosmer ($8,000) has quietly been awesome this season, showing an increase in power (.200 ISO) and his highest hard hit rate in four years. Value won’t be a problem with no pitcher priced over $18,000, but Lorenzo Cain ($8,400) and Alcides Escobar ($7,200) are underpriced relative to the rest of the options on the slate. Last but not least, if looking to fill in a few spots in your lineup the Astros and Orioles have more than a few quality options. I’ve yet to correctly choose Carlos Correa ($7,800), but he is grossly underpriced relative to his skills. The same goes for Manny Machado ($8,000) and Chris Davis ($7,600) who has displayed insane power skills against right-handed pitching in his career. With only ten options to choose from and a few that are definitely out of the question, the pitching rubber is again a scary place to be tonight. Joe Ross ($15,600) is probably my favorite pitcher on the slate, but much like Jonathan Gray, his matchup is a nightmare. The Cardinals fall just behind the Red Sox (second in wOBA and wRC+) against right-handed pitching and they strike out less than 20% of the time against righties. Ross is a favorite at home, but this matchup is less than ideal. Still, he’s going to have to be forced into consideration tonight given the lack of options. 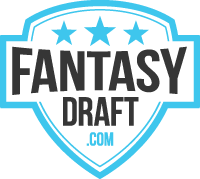 One of Lance McCullers ($16,800) or Kevin Gausman ($18,000) will most likely have to be in your lineups at FantasyDraft tonight. In need of two starting pitchers, it’ll be difficult to pass up the pair with the most strikeout upside on the night. Both offenses have been strikeout prone against right-handed pitchers as the Orioles are eighth in the league in strikeout percentage (23.1%) and the Astros are third (25.3%). McCullers has shown more strikeout ability in his young career, averaging over a strikeout per inning to go with an above average SwStr%. While Gausman has lagged behind McCullers in terms of strikeouts, the matchup with the Astros forces me to give him the slight edge. He projects for a slight positive bump over the rest of the season according to ZiPS and Steamer and the rest of his peripherals are workable. He’s induced 20% soft contact and his SwStr% is right in line with last season at 10.8% (above average). If he can get beyond the top three hitters without running into too much trouble, Gausman is in for a solid night. After the top three options, it pains me to whisper the names of Matt Wisler ($17,700) and Wily Peralta ($10,000). Wisler is a flyball oriented arm who does not strike many out and has largely outperformed his xFIP via his ERA. All of those things are bad, but this slate leaves us no choice. Wisler draws a matchup with a Brewers team that has the largest strikeout percentage in the league against right-handed pitching (27.6%) and is facing a notable negative park shift. You could do worse? Maybe? Wily Peralta should never be mentioned in section on pitching selections. In fact, the Editor should just entirely scrap this portion of the piece. If it somehow makes it in, hear me out. Peralta is bad. He doesn’t strike people out, his SwStr% is the lowest of his career, he’s walking nearly four hitters per nine and has a 4.80 xFIP. BUT! Yes, there is a BUT! It’s the Braves. You don’t need the savings tonight, but I wouldn’t be entirely surprised to see Wily throw five innings and only give up two runs. Would that be a win on this slate? Maybe, but probably not.